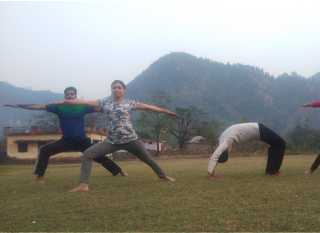 300 Hour Yoga Teacher Training Dehradun Rishikesh. 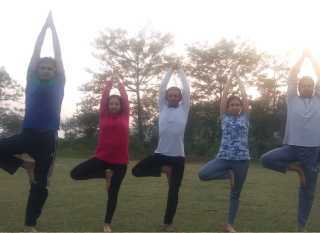 100 Hour Yoga Teacher Training Dehradun Rishikesh. 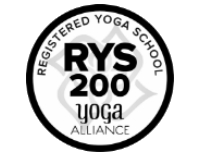 Om Yoga School Registered under Yoga Prakash Rishikesh School ( RYS 200 and RYS 300 ) in 2016. We offer Classes - Beginner Yoga, Intermediate Yoga, Advance Yoga. Courses also offer - 100 Hour Yoga Teacher Training, 200 Hour Yoga Teacher Training, 300 Hour Yoga Teacher Training. Retreat Courses offer - 7 Days Yoga Retreat Courses, 15 Days Yoga Retreat Courses. Indian Government Degree/Diploma/Certificate Courses also offer. Yoga Teacher Training School - promotes and spread this very ancient art of the ancient saints from the Arya Samaj to improve the quality of life of the millions. The school provides best Yoga Teacher Training in Rishikesh, India that includes 200 hour, 300 hour and 500 hour yoga teacher training. We believe that every human has a birth right to be happy, to feel healthy, and to live with one’s full vitality, to know the rules by which he/she can use nature to instil great quality in his/her lifestyle. We help our followers just to know this knowledge. We teach them, we train them and we guide them. They experience that ‘life’s good’ feeling through this entire learning process. That is our sole achievement. 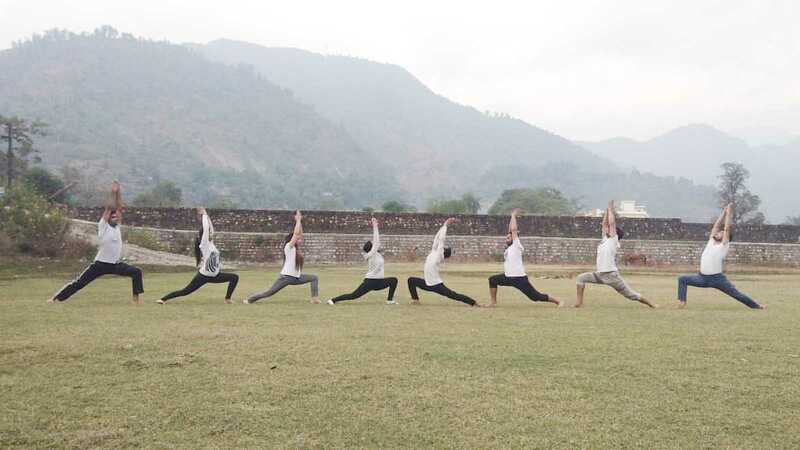 yoga in Rishikesh, yoga school in Rishikesh, Rishikesh yoga retreat, yoga center in Rishikesh, yoga school Rishikesh, yoga ttc Rishikesh, yoga teacher training Rishikesh, yoga courses in Rishikesh, hatha yoga teacher training in Rishikesh. 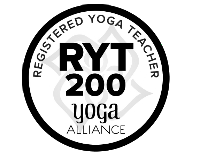 Yoga teacher training course offered by us involves 100/200 hours Yoga TTC. 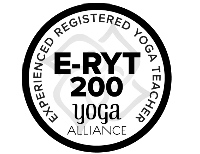 The course is offered to those students who have passed the 200 hours Yoga teacher training course. 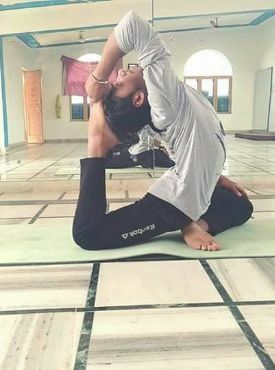 It is the advanced level of learning Yoga and those who have mastered the initial stage with hard work and practice would be able to conquer this training. This course demands more time and more command over the body to learn the difficult asanas. The schedule would be primarily same as what you have learnt in 200 hours yoga training program, but the level of difficulty and number of hours that you devote shall increase. 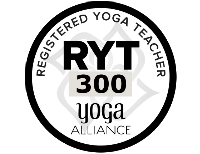 300 hours yoga teacher training Rishikesh, 200/300 hours yoga teacher training course would allow you to achieve the perfection in Yoga practice. Hatha Yoga or Yoga Asanas: The level of Yoga Asanas will be taken to next level difficulty. You will continue to practice what you have learnt in the initial stage, but the difficult asanas for different diseases will be taught to students under this program. Till this stage, your body becomes flexible and friendly to learn more difficult poses. Chanting and Shatkarma: Regular chanting of mantras and ‘om’ will be the part of your schedule. It is the regular exercise that you must continue even when the course will get terminated. It is the natural healing exercise of being a positive person and shedding away all the negativities. Shatkarma or the body cleansing yoga asanas will also remain part of your schedule. Yoga Nidra or Yoga breathing: Yoga nidra will be introduced to students where they will learn different exercise on yoga breathing. Breathing is the integral and basic part of yoga. It is the basic system on which all the asans work upon. 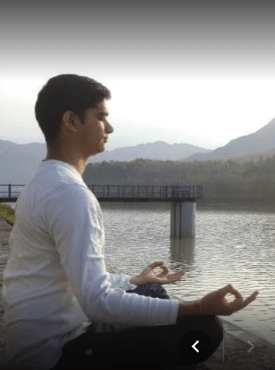 Workshop on Yoga Philosophies: Films, documentaries, discussions and workshop on yoga philosophies will be an added attraction to the course in this level. 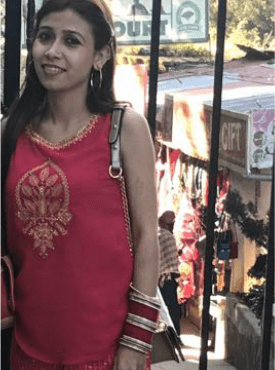 We Offer Courses these locations also - Yoga In Goa, Yoga in Rishikesh, Yoga In Dharmsala, Yoga Retreat Bali, Yoga Retreat In Cyprus, Yoga retreat in Austria, Yoga Retreat in Berlin etc. This course is convenient for those students who have intention complete Yoga Call Us - +91 7895753921. 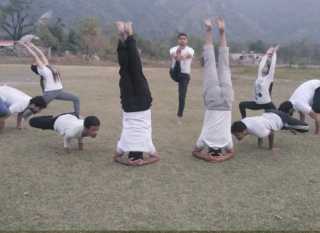 We Provide best 300 Hour YTT Course in Rishikesh India These courses are registered with Yoga Alliance, USA. 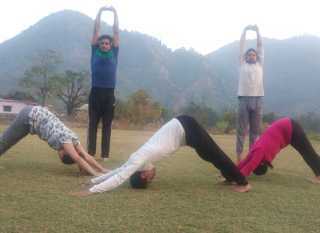 We Provide best 500 Hour YTT Course in Rishikesh India These courses are registered with Yoga Alliance, USA. 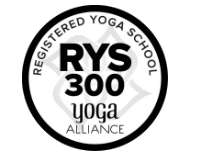 Om Yoga is registered with Yoga Alliance u.s.a. as RYS two hundred eligible to offer worldwide certification courses to humans all over the global. Let’s Call/Chat/Whatsapp about your Question and how we can help of your dreams. Checkout Our Students reviews and comment about our yoga Centre. Om Yoga School students speak about their personal experiences in their own words. Our students are encouraged to speak and share about their daily yoga practice. The most beautiful month at Om Yoga. I couldn’t have asked for a better setting, better teachers, and better people to share the experience with. Can’t wait to return one day to do my 200hrs. Super grateful for everything I learned there. I had an amazing time and learned so much in my month at Om Yoga during my 200 hour course. The location is amazing and the shalas are gorgeous. I took the first Ashtanga Vinyasa course that was offered through Om Yoga with Deep & Ajit and I was so happy with everything!